Helping patients manage pain is complex. To help navigate this challenging landscape and support health care providers across the health system, Health Quality Ontario and organizations across the province offer a coordinated program of supports to help family doctors, nurse practitioners and other primary care clinicians manage their patients’ pain, including the appropriate use of opioids. The following provides a one-stop summary of available pain management supports. Outline what quality care looks like based on the best evidence for people with acute or chronic pain and for people with opioid use disorder, osteoarthritis and low back pain. A campaign that encourages thoughtful conversation between clinicians and patients to reduce harms associated with opioid prescribing. Clinical practice guideline on the use of opioids to manage chronic non-cancer pain for adults (18 years of age or older). First Canadian guideline for managing opioid use disorders developed by the Canadian Research Initiative on Substance Misuse (CRISM). A confidential report that lets you see your own opioid prescribing patterns compared with the provincial average, along with suggested tools to make improvements. Standardized queries to help you build an opioid use registry in your practice. Available for Telus PS Suite, Accuro and OSCAR. 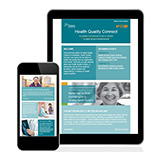 A digital tool to help you optimize the use of your EMR and understand current patterns of care. A network of over 50 physicians, nurses and clinic managers across the province who are expert users of OntarioMD-certified EMRs available to help you understand current patterns of care. A provincial change management service designed to help physicians enhance their EMR skills and efficiency to improve clinical and practice outcomes. Can provide access to your patients’ clinically relevant drug and pharmacy service information to assist with your pain medication review process. Accredited sessions to educate practice staff on how EMRs can provide additional, immediate clinical value. Weekly CME-accredited videoconferencing sessions connecting you with an inter-professional pain specialist team. Free online modules designed for primary care physicians and nurse practitioners on topics such as safer opioid prescribing, management of opioid use disorder and practical tools for managing chronic pain, including non-pharmacologic approaches. Six-week, self-paced online course that aims to present a framework for providing maintenance treatment for opioid use disorder with buprenorphine/naloxone, including its use in a primary care setting. The registration fee for this course is currently being waived. Get rapid access to a drug information pharmacist who will answer your questions about opioid tapering and switching, drug interactions and withdrawal management. This is a new proof-of-concept project for primary care clinicians in the North East, North West and Hamilton Niagara Haldimand Brant regions. For more information, contact painQI@hqontario.ca. One-on-one educational outreach visits tailored to your needs and access to clinical tools and supports focused on supporting care for patients living with chronic non-cancer pain and currently on opioid therapy. Mentoring support that connects you with experts in chronic pain and addictions to help you manage your patients’ chronic pain, addictions and the challenges around opioid prescribing. Connects providers to specialists who can help answer clinical questions about their patients’ pain management, quickly and securely. 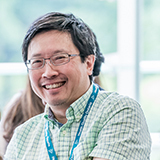 Read stories from primary care clinicians across the province who are improving their pain management practices and helping their patients manage pain by using tools like the Ontario Pain Management Resources site.